The first flavors I pick up is a saucy worcestershire with a light bit of sweet. There's a chile spiciness that comes in along with the black pepper. 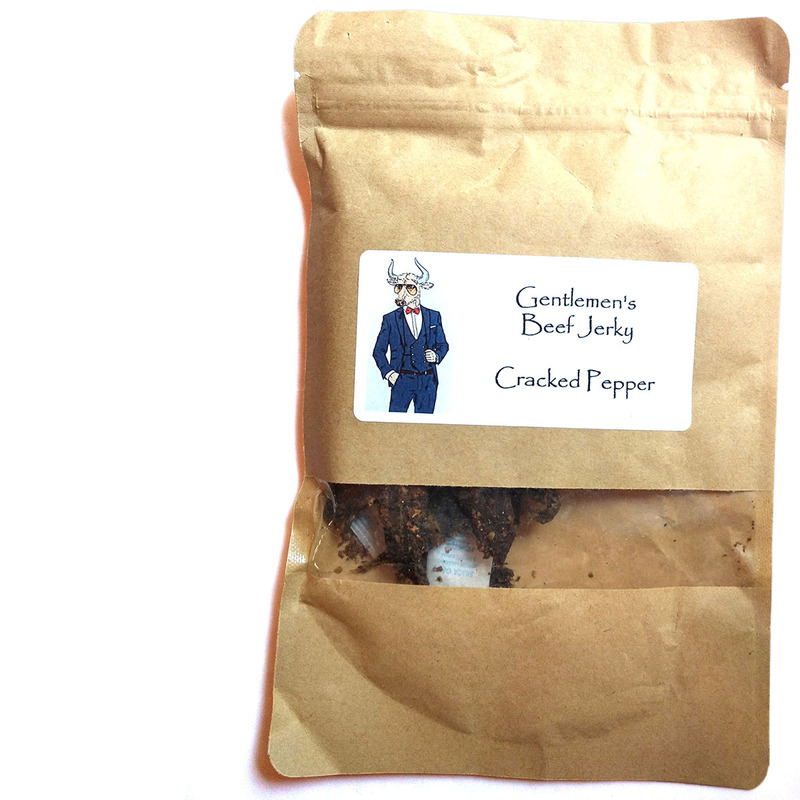 The chewing brings on soy sauce, along with a pan-fried steak flavor, and notes of garlic. For being labeled, "Cracked Pepper" it definitely has a sharp, freshly cracked black pepper flavor. It adds a fair amount of spiciness, perhaps warranting a "mild medium" on our heat scale (level 2 out of 5). There also seems to be some kind of chile pepper seasoning, perhaps cayenne. Otherwise, the primary taste profile is that of a saucy blend of worcestershire and soy sauce over a pan-fried steak flavor, with a dose of sharp, fresh cracked black pepper and notes of garlic. The meat consistency seems excellent. It's actually dry, but not chewy at all It's very easy to bite into and in fact it feels very light, almost "flakey" like a pie crust, yet it seems to mesh together like a real steak. There's a nice "crunch" in the first couple chews before it comes together into something meaty. 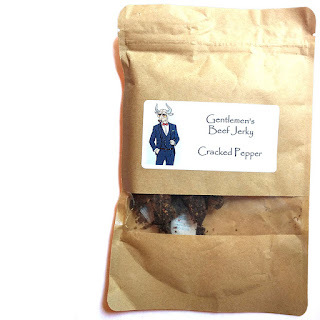 This Cracked Pepper variety from Gentlemen's Beef Jerky delivers an amazing chewing texture that feels light and airy, yet chews down into something meaty, almost steak-like. It has a nice crunch initially, but becomes meaty into the chewing. 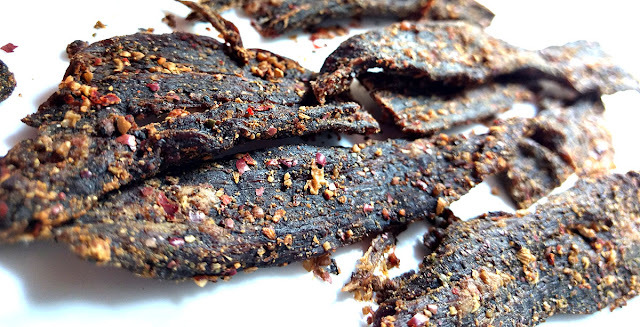 The flavor is tastes like a pan-fried steak that's been simmering in worcestershire and soy sauce and rubbed with black pepper, garlic, and cayenne. But, it's the chewing texture that really makes this stand out. That light crunch at the beginning, and the airy, flakey consistency, creates a lot of snackability that draws you into chewing more. I have to try this,where can I get it?